Join us at at your neighborhood dairy farm for our April Winter (err..Spring!) 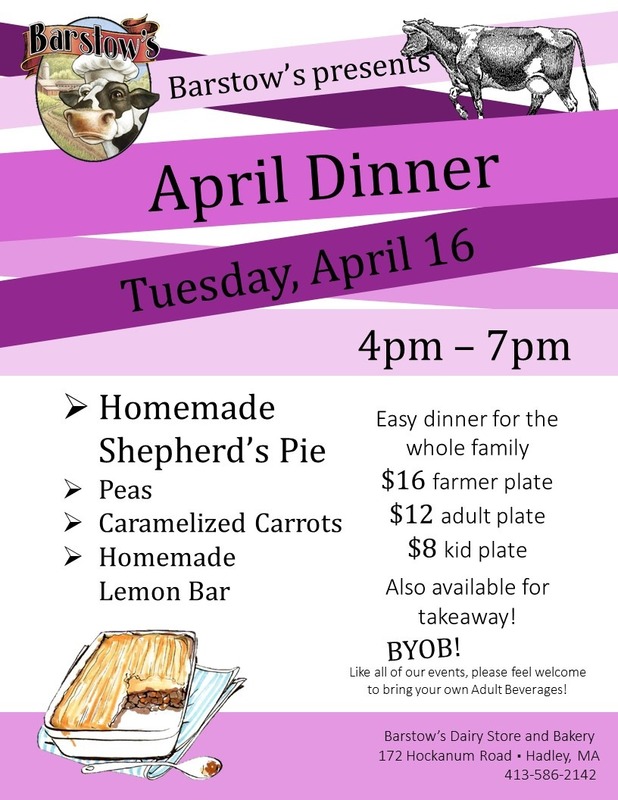 Dinner on Tuesday, April 16 between 4pm and 7pm! The menu will feature our homemade Shepherd’s Pie made with Barstow’s farm raised beef, peas, and caramelized carrots. For dessert, a homemade lemon bar! Plates are $12 each and $8 for kid’s sized plates. Need a farmer sized helping? $16 farmer plates also available. Order at the counter and enjoy your supper at Barstow’s. Or order your meal to-go and pick it up on your way home from work. The whole kitchen will be open until 7pm. As with all of Barstow’s special events, BYOB, please feel welcome to bring your own adult beverages. 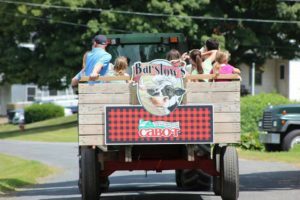 This event is family friendly, commuter friendly, and just plain friendly!